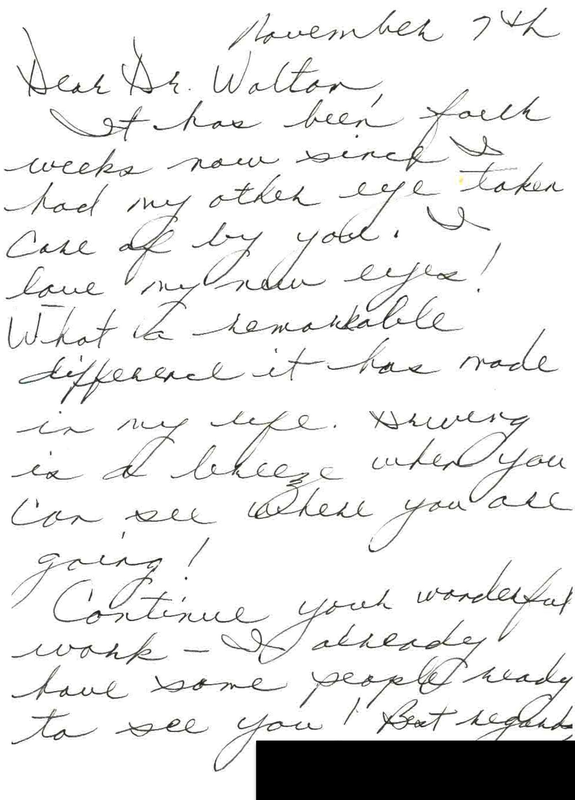 Nothing makes us happier than happy patients, except when they send us a handwritten, heartfelt, personal letter. 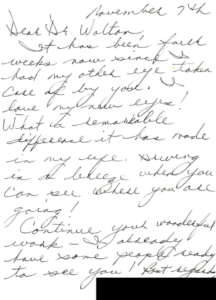 This patient just had cataract surgery with Dr. Walton and chose the Advanced Custom Vision Package. Thank you to all of our patients who write us, email us, call us and even go online to review us to share their happy experiences with our surgeons. This is what gets us up and inspired in the morning to go to work and do our jobs every day!